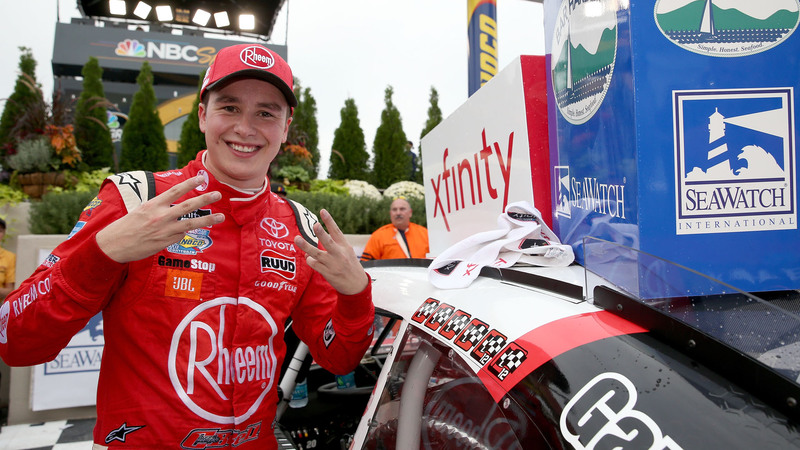 Christopher Bell has been on fire this year in his first season in the Xfinity Series. The former Truck Series driver took home the victory at the Bar Harbor 200 presented by Sea Watch International on Saturday. The win was his sixth of the season. With the victory, he passed Kyle Busch, Carl Edwards and Greg Biffle for the most wins by an Xfinity rookie. Bell currently leads the Xfinity playoff standings after his win Saturday and may be primed to make the move to the next level in 2019. William Byron got a job driving the No. 24 full time for Hendrick Motorsports after he won the Xfinity Series playoffs as a rookie in 2017. The 20-year-old won four races on the series last season.